A Compromise Agreement is often entered into when your current position with a company has been terminated. The termination can be due to redundancy, unfair or wrongful dismissal, or a mutual agreement between yourself and your employer to leave your position otherwise than in accordance with the terms of your contract. It is usual that your employer will cover the costs of a Compromise Agreement and as such they will advise you as to the level of costs they are willing to pay when this issue is discussed. We are able to assist you with understanding the contents of the Compromise Agreement and ensuring that the same covers your situation and your agreement with your employer. More than 90% of our clients never need to pay us a penny as the employer usually agrees to pay our fees in full, as part of the settlement. Occasionally we may need to re-draft or renegotiate the Compromise Agreement on your behalf. This may increase our fee however in the first instance we would always ask the employer to meet any extra costs. 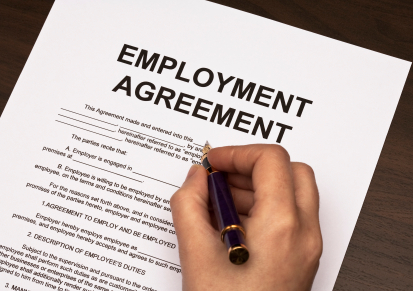 We understand the difficulties arising out of losing your job and are able to deal with your Compromise Agreement in a quick and professional manner. We will check that the Compromise Agreement accords with the Employments Rights Act and confirm that we hold appropriate indemnity insurance to be able to provide the Certificate of Independent Legal Advice. We can advise you on the terms of your contract of employment and their effect and whether or not you have a claim against your previous employer for unfair, wrongful or constructive dismissal. There are very tight timeframes in which we must issue proceedings with the Employment Tribunal. Usually you have 3 months from the effective date of dismissal. It is therefore imperative that you seek legal advice as quickly as possible on any issues you may have with your employer. If you wait to long you may lose the possibility of making a claim. You may have found yourself in a situation whereby you have recently been dismissed from your employment, or alternatively have found the need to resign from your position. We are able to provide you with advice in regard to unfair, wrongful and constructive dismissal. For further information on Compromise Agreements please contact Kelly Cirillo on 020 8646 4885 or email Kelly@p-llp.net .